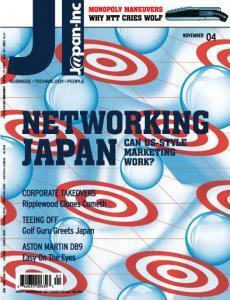 On the cover: NETWORKING JAPAN CAN US-STYLE MARKETING WORK? Will LEDs replace the light bulb? Can American-style marketing work in Japan? Why physical security still matters. Why NTT cries wolf--and why it works.